Social networking is the hottest discovery since email. It’s fun, fast paced, interesting, and allows you to connect with friends, colleagues, and clients in a way that you never could before. And for entrepreneurs and small business owners, it levels the playing field by allowing you to develop a network and marketing plan at a fraction of the cost. BUT don’t be lulled into thinking you can act with impunity. With all the good social networking can accomplish and the ease in which you can use it, there are landmines to be aware of. Over the next few weeks, I’ll address a number of legal issues you should be aware of when playing in the social media sandbox, and actions you can take to side-step them. The first issue is the most basic and the easiest for you to comply with–having a social media use policy. Have a social media use policy. 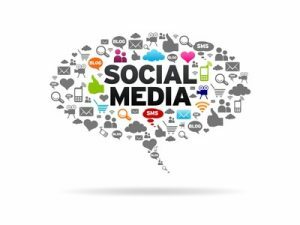 Do you have a social media policy in your work place? Do you think you need one? The average small business person does NOT have a policy on what’s acceptable behavior in their office, with regards to social media use. Yet without a policy, which let’s people know what your expectations are, you can’t hold them accountable. Whether you are a large or small business, or sole proprietor, you should have a written policy letting people know, what you expect, in terms of their behavior in your workspace. Having a policy and communicating that policy are all well and good. But if you have a policy and don’t enforce it, or you enforce it against only certain people, then it is as if you have no policy at all. Until next time, beware of social networking landmines!